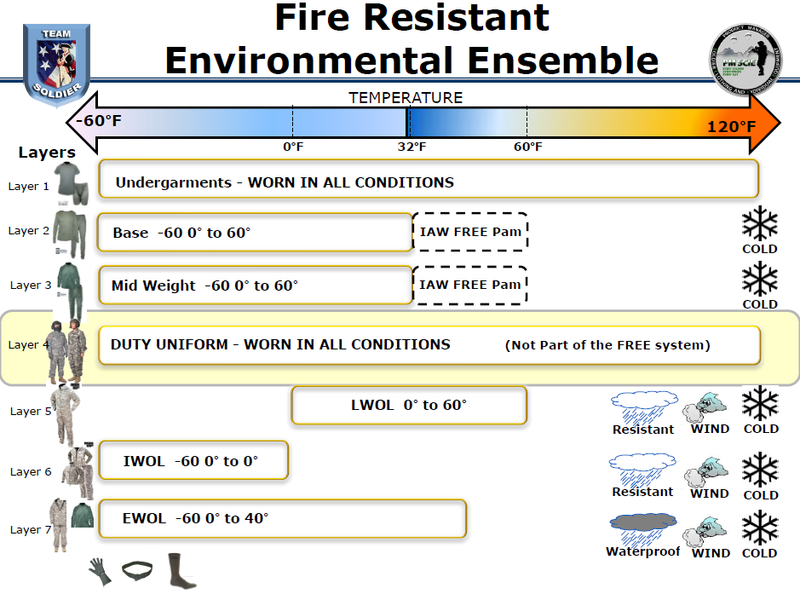 The Fire Resistant Environmental Ensemble (FREE) is a multilayered, versatile, flame resistant system. Its unique individual layers are adaptable into multiple system configurations. This flexibility allows the Soldier greater uniform/personal protection choices. These choices are critical in responding to the current engagement threats while facing extreme climate conditions. The ensemble was designed to fit comfortably over the current Army issue fire resistant duty service uniforms, such as the Mounted Crewman Improved Combat Vehicle Crewman (iCVC) coverall and the Army Aircrew Combat Uniform (A2CU). It was ergonomically engineered for comfort and wear in the confines of aircraft and armored vehicles. All layers of the FREE system incorporate flame resistant technologies to offer protection and comfort. FREE is a comprehensive clothing system from skin to outerwear, from head to toe, and was designed to be compatible with current issue personal protective equipment. FREE was engineered to be functional in and out of aircraft and combat vehicles. 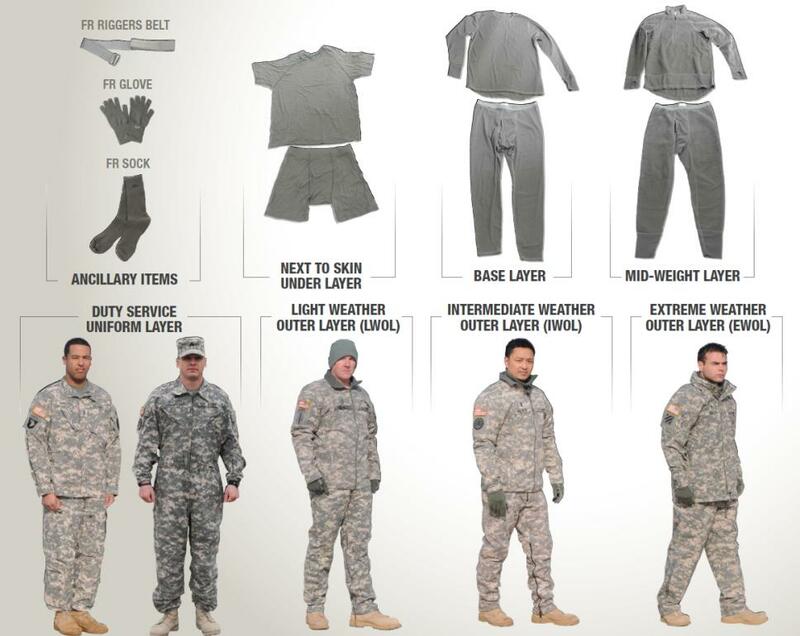 It will replace existing aviation and combat vehicle crewmen cold weather clothing (ACWCS). FREE is color-compatible (in universal camouflage and foliage green) with ground Soldier uniforms and provides armor and aircrew members with the flexibility needed for field operations in rapidly evolving environments. An Annotated Bibliography of MANPRINT-Related Assessments and Evaluations Conducted by the U.S. Army, 2nd Edition: 1953 to 2009. Volume III. pg. 738-740.